Nashville, TN – Since leaving home in 1961 to pursue a career in music, T.G. Sheppard has done it all. He scored a job as a promotions executive for RCA Records, where he became friends with Elvis Presley who believed in his talent so much that he gave him his first tour bus, topped the Billboard Hot Country Songs chart an astonishing 21 times, and left an everlasting mark on Country music. 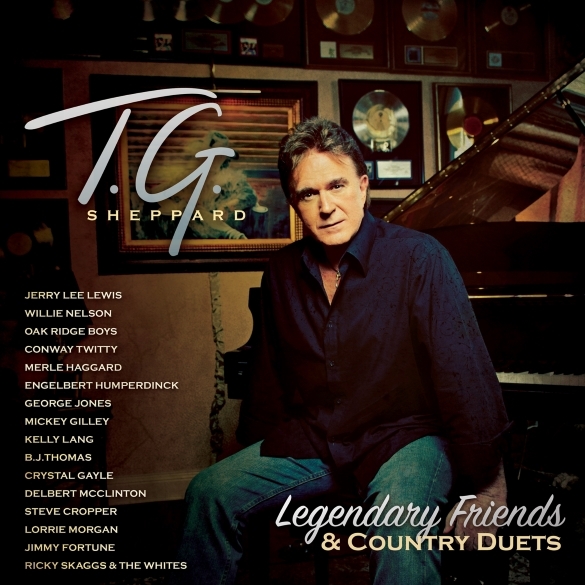 Over the years, the smooth singer/songwriter has made a lot of impressive friends, which inspired the vision for his upcoming album, Legendary Friends & Country Duets, which is set for release on Oct. 30 via Cleopatra Records. On the upcoming project, TG collaborates with some of the most influential artists of all-time and those that he can actually call his personal friends.